Welcome to The Music Cellar! 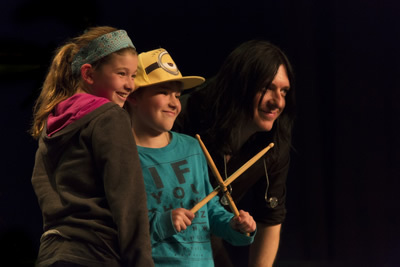 For over 30 years The Music Cellar has been Winnipeg's Premiere Music School, providing innovative musical education to thousands of dedicated musicians. The Music Cellar began in the basement of original owners and operators, David and Brenda Schneider. The school eventually grew too big for "the cellar" and moved to its current St. Anne's Rd location 15 years ago. This important move allowed TMC to increase enrollment and expand its musical programming. After dedicating their adult lives to operating The Music Cellar, David and Brenda made the very difficult decision to sell their music school. They were looking for like-minded individuals with the experience required to take the reigns of the business so they could continue their love of teaching and still stay actively involved in TMC. The Music Cellar was purchased in Sept 2018 by another drum and piano teaching couple, Vaughn & Collette Smith, who began Modern Music in their home in 1995. 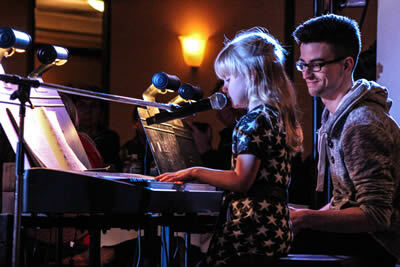 After 10 years they moved to Vancouver where they taught at West Vancouver's Creber Music Academy. Eventually re-locating back to Manitoba, they started The Ste-Anne School of Performing Arts in Ste-Anne, MB and after 8 successful years moved back into Winnipeg where along with The Music Cellar, also currently operate their home-based music school, River Park South Music. We welcome you to "The Music Cellar family", our cohesive team of talented and dedicated musicians and educators. Our teachers are performers, recording artists and clinicians who understand what it takes to be well-rounded and professional in today's musical climate. The majority of our teaching team have been with TMC for many years, and have greatly contributed to the growing success of our programs.